Regarding positioning between two opponents I will use battleships to make the point. If battleship X can fire and hit battleship Y and battleship Y can not fire and hit battleship X because it has to turn the ship and aim its guns at battleship X before it can fire a shot that actually stands a chance of hitting battleship X then battleship Y will be full of holes before it can fully turn to fire at battleship X. Having the superior position to attack is 3/4 of the key to winning in a dangerous situation. Criminals practice walking up to people and getting close to them while the intended victim is in a in vulnerable or/& bad position and criminals also practice tricking people into getting themselves into bad positions such as looking at a watch for the time or reaching into their pocket for a quarter or turning their back to point out directions. Criminals seek to get position on people and then they attack because they know that the risk (for the criminal) is very low and that they are very likely to be successful in their criminal activity. Obviously for self defense purposes work on awareness skills so that you can not easily be caught in such a bad position or tricked into getting into a bad position. Also, learn to begin your self defense from the position you are in instead of where you would like to be. Train to attack from as many possible positions as you can. Also, figure out how to turn bad starting positions into good attack positions. Learn to be aware of vulnerable areas and adjust quickly and with as little time, effort and motion as possible. 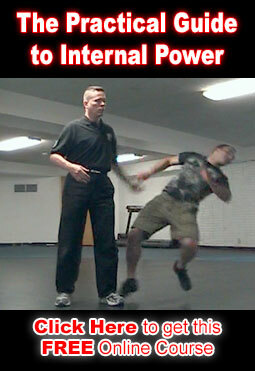 Work on making small movements that immediately change an aggressor’s position from one of strength into one of weakness. Do it so that at the very least an opponent will have to reposition in order to attack you. If you can gain superior position and make it so that the opponent must adjust in order to attack you then you can focus on attacking while they are forced to seek a position to attack while having to defend against you. This is one of the essential trainings in Silat and Kun Tao. Gain and keep superior position while continually keeping the opponent in a bad position. Do this while you are attacking so that the opponent spends all of their time trying to get position or trying to defend from a very weak or poor position. With good awareness skills and practicing of positioning skills this can be developed to the point that you have the advantage from the beginning, before a physical fight actually begins, and then you keep superior position for the duration of the fight which will likely be quite short.